Editor note: The following is an op-ed distributed by the Michigan Secretary of State’s office in light of recent U.S. Supreme Court rulings on the Voting Rights Act. On Aug. 6, voters in 56 counties across Michigan will go to the polls to elect school board members, decide some primary races and vote on local ballot questions. While there has been a lot of discussion about the impact of the recent Supreme Court decisions on Michigan, voters here can be assured that we have a strong elections system and that we will continue to fight to safeguard integrity in Michigan elections. 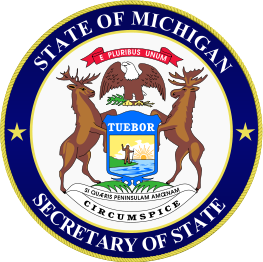 In fact, Michigan was ranked recently as one of the top states nationally for elections administration and performance by the nonpartisan Pew Center on the States. Our 2008 and 2012 presidential elections saw an unprecedented level of voter engagement across our communities. The recent Supreme Court decision striking down Arizona’s practice of requiring citizenship documentation in order to register to vote will not impact our state. In Michigan, voters attest they are qualified to vote – that is they are age 18 or older, a resident and a U.S. citizen when registering. In a separate ruling, the Supreme Court also recently declared pre-clearance requirements under a section of the National Voting Rights Act unconstitutional, affecting two small townships in our state. Under the ruling, those two communities will now be treated the same as the rest of our state, allowing state election law changes to be implemented without prior federal approval. The National Voting Rights Act itself remains in effect to protect voters. Our office, election officials and your local and county clerks will continue to work very hard to ensure all of our citizens, all qualified voters, have their vote count – and their voice heard – on Election Day. The first-ever online training for poll workers and first-ever post-election audits. Working to remove those who have died, or moved out of Michigan from the voter rolls, and to prevent those who are not U.S. citizens from voting. Prior to 2008, federal requirements had states ask everyone, including non-citizens, if they wanted to register to vote. To date, the feds – the only ones with citizenship information – have repeatedly failed to assist us in efforts to remove noncitizens from our rolls. A new law, with the support of the governor and the Legislature, that requires voters to attest that they are qualified voters – at least age 18, U.S. citizens and a registered voter in their district – when signing their ballot application prior to every election. New laws requiring more transparency and more accountability in campaign cash reporting. Voters must know who is funding candidates and committees to help prevent stealth efforts like the fake tea party. New online tools and technology like smartphone apps that help voters “follow the money,” and access critical voter information and even see a sample of their ballot. A 3,000-mile voter registration tour to encourage young voters to participate in one of our country’s most fundamental freedoms. We continue to send a birthday card to 18 year olds reminding them to register to vote. Moving forward, we are working with the governor’s office and our legislative partners on proposals for secure online voter registration and no-reason, in-person absentee voting with the same ID requirements as those in place at the polls on Election Day. Both initiatives promise to increase access for all voters while ensuring election integrity so that no one’s vote is cancelled out by that of an unqualified voter. The polls on Aug. 6 will be open from 7 a.m. to 8 p.m. To find out if there is an election in your community, confirm you are registered to vote or to see a sample ballot, visit www.michigan.gov/vote. As always, we welcome your comments on how we can continue to improve our elections system. In the meantime, all of us –our office, your clerks and Michigan’s 30,000 poll workers– are committed to ensuring that your vote counts, and that elections in Michigan are as fair and secure as possible. Ruth Johnson is Michigan’s Secretary of State.